2x2 is one of the labels produced by Billy Button Wines, one of the most interesting wineries to come out of Australia in recent years. 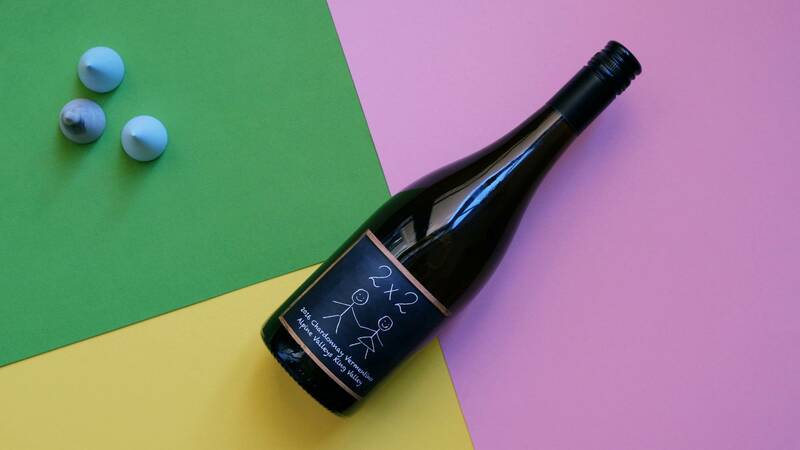 Overseen by the tireless Jo Marsh, and taking its inspiration from the Alpine wineries of northern Italy, Billy Button has brought a real breath of fresh air to the scene. Indeed, people are flocking to these wines like mountain goats to a feeding trough, and it’s not difficult to see why. Jo Marsh approaches winemaking with all the enthusiasm and wild abandon of a kid in a sweet shop - she’s pioneering new blends, experimenting with a wide range of grapes, and let the flavours and combinations she creates speak for themselves. The results, as we can attest, are nothing short of fabulous. Really delicate winemaking here - handpicked fruit, natural yeast ferments, gentle aging. It all pays off. A lovely yellow gold in the glass, this is just so inviting. Aromas of ripe peach, sweetcorn and yellow apple really shine from the glass, along with an aroma that reminds me of my mother poaching pears in vanilla! It is of moderate weight, creamy but fresh, and has some really lovely spice characters from the oak that the Chardonnay was aged in - think ginger and cinnamon. The acid to finish is clean and bright and really carries those fuller flavours. Really delicate winemaking here - handpicked fruit, natural yeast ferments, gentle aging. It all pays off. 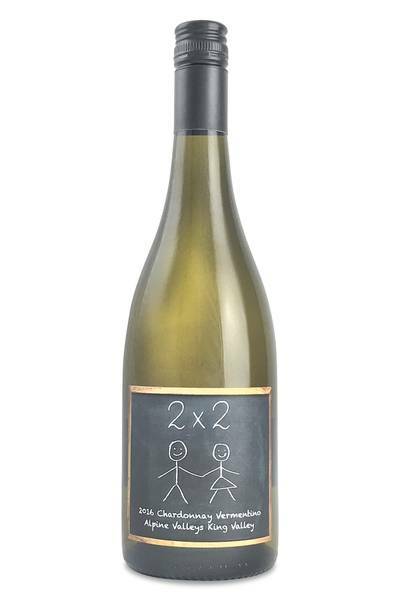 This white blend from 2x2 is everything we want from a beautifully made white wine. With all that lovely alpine freshness and balance, it’s going to be a real winner with a wide variety of different dishes. Paired with grilled fish it’s nothing short of a revelation, but this wine is also going to match up superbly with roasted white meats, simple fresh salads, and richer root vegetables like sweet potato, squash, and pumpkin, too.